Secretary of State John Kerry landed in Kabul, Afghanistan, Friday for talks with President Hamid Karzai. The United States hopes to make progress on a long-stalled security deal with Afghanistan that would leave some U.S. forces in the country beyond NATO's scheduled departure at the end of 2014. U.S. officials say they hope to conclude a deal on the Bilateral Security Agreement, or BSA, in the "coming weeks" and before Karzai meets with a council of tribal elders next month. Without a deal, the United States would keep no military forces in Afghanistan once the combat mission ends. In Iraq, all U.S. troops left at the end of 2011 after the two countries were unable to reach a similar agreement. The Afghan negotiations, which started last October, were supposed to be completed within a year. But issues related to Afghan sovereignty and American security guarantees for that country have made a deal elusive. Senior U.S. officials tell CNN the text of an agreement is about 95% complete, but two main issues remain unresolved. The sticking points involve Afghanistan's refusal to let U.S. forces conduct counterterrorism operations against al Qaeda operatives. Karzai wants the United States to hand over intelligence and allow Afghan troops to conduct those operations, something the United States has balked at. Karzai also is insisting on an American guarantee of Afghanistan's security, similar to agreements the United States would have with a NATO ally or a country with a mutual defense treaty. Such a pact might compel the United States to send troops into Pakistan if Afghanistan was attacked. A former Senate Foreign Relations Committee chairman, Kerry has made multiple trips to Afghanistan in recent years. A state department official who briefed reporters on the way to Kabul said they hope Kerry and Karzai will make progress in the negotiations, but they don't expect to close a deal. "They will of course be discussing where we are and seek to continue to make progress," the official said. "Now negotiations were ongoing before we arrived and they will be ongoing after we depart from Kabul, so that was not the expectation in terms of a conclusion." The Afghan leader, known for emotional rants against the United States and NATO forces, cast doubt this week on whether a deal could be reached. At a press conference, he issued a sharp rebuke to American and NATO forces in his country over a recent NATO airstrike in Nangarhar province that the Afghan government claimed killed five civilians. "The United States and NATO have not respected our sovereignty," Karzai said. "Whenever they find it suitable to them, they have acted against it. This has been a serious point of contention between us and that is why we are taking issue of the BSA strenuously in the negotiations right now." Referring to U.S. insistence on handling counterterrorism operations, Karzai said, "The United States and its allies, NATO, continue to demand even after signing the BSA they will have the freedom to attack our people, our villages. The Afghan people will never allow it." 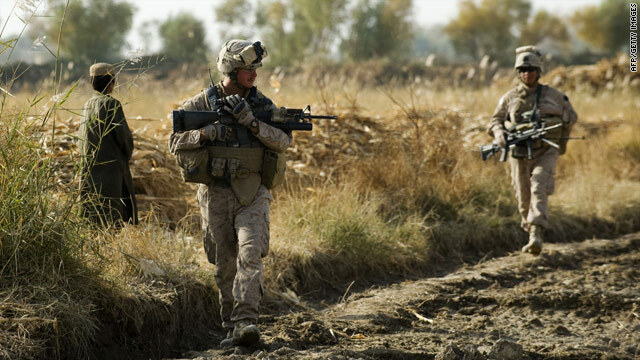 In an interview with Associated Press last week, President Barack Obama warned he would keep troops in Afghanistan only if the United States got want it wanted in any agreement. Daniel Markey, a senior fellow at the Council on Foreign Relations and author of the forthcoming book "No Exit from Pakistan," says that while the remaining issues are few in number, their importance could hinder chances for a deal. "These sticking points, even if the differences have been narrowed, are sticky enough that there is some serious question as to whether this will happen before President Karzai leaves office," Markey said. "And the lack of an agreement will be harmful to the potential legacy of a stable and smooth transition," he added. "There are so many other reasons to be worried about Afghanistan: the economy, the election and the lack of progress in dealing with reconciliation with the Taliban. This is one more thing that doesn't need to be added to the mix." Washington is racing against two clocks - one related to Afghanistan's election next April, and the other involving military planning. Karzai has suggested his successor should be the one to conclude negotiations with the United States. U.S. officials and analysts have voiced concern that Afghans would take to the polls amid uncertainty about the future relationship with the United States. "It is easy to see that we become an issue in the campaign, and not in a way that serves the U.S. interests," Markey said. "There could be a competition to show who is least willing to kowtow to the Americans. And then when they negotiate in that way, you never get a BSA. Then you have an Iraq situation, where we have to leave. But for Afghanistan, it's more dangerous. It's even more unstable and the regional consequences are of greater concern to India, Pakistan and even China." Moreover, the lack of a deal would impact NATO's military planning. The United States wants to give its troops, and those of other countries, enough time to prepare for keeping troops in Afghanistan. Other NATO countries, including Germany, say they will be unable to remain in Afghanistan if the United States and Afghanistan do not reach a deal. A total withdrawal would also put at risk billions of dollars in international aid. "As a practical matter it will be difficult for us and our NATO partners to deliver on pledges we have made regarding both security and economic programs," one senior administration official said. We cannot stop a idea with a f16 or a tank ..agreed? bring all of our troops home from wherever . now these brain dead maniacs.have been killing each other for a couple of thousand yrs ..so...LET THEM ..
the reason they r mad at us is because ,WE R TRYING TO STOP THEM! let them solve the worlds troubles .they enjoy killing and blowing themselves and their kind..
We should also stop all welfare for Apartheid Israel. We will save plenty of taxes there. No, joe. You have the right idea here. There is another idea that I have. Why not let India or J apan take over Afghanistan and occupy that country and run with it? Neither country would be dumb enough to do that! Why should we be? Karzi knows what has been said thus far he is a smart person who does not need BS anymore than nessisary because it affects his person negativly. URGEN HELP SEND TO F.B.I. INTERPOL AND EUROPOL. ASESSINATION WITH SATELITES TECHNOLOGY VENEZUELA. BANK PERFECTIBLE THEFT, NARCOTRAFIC, AND VIOLATIONS. what is wrong with you Mother F? Just ignore the jerk above, ShiverMeTimbers. He thinks he's funny! The whole idea of taking over Afghanistan was one thing only, wrong, wrong and wrong! We never had any right to be there and hopefully, this obscene treaty won't go through so the occupation may end like it should with no American or any other NATO troops in that country!!! That's pretty much false – especially when the terrorists are pounding the 'War Drums' in Afghanistan. Just keep hitting terrorists where it hurts the most. Get real Steve, will you? As long as we continue this obscene occupation of Afghanistan, we'll continue to take $2B dollars out of our economy and sink it into that country which will benefit no one but the war profiteers in Washington! Who in their right mind wants that? Occupation of Afghanistan is the result of 911. Don't give a crap about any country there no more.Im out and my son is home and they can rot. Just my personal opinion. What about the terrorists in Israel? that's great RANDOM that you think the whole thing was your idea more power to ya...DO YOU THINK YOU CAN DO IT AGAIN? We must get out and stay out! Any US or Nato troops staying there will simply be used for target practice! We left Iraq, what did we "win"? Nothing! Now we see what they really want to do, go right back to killing each other! The US and Nato can do nothing to stop this. Pretty exciting to see opcw receiving a peace prize. I don't think there is anyone who deserves it more than the people who are crazy enough to follow through on that slightly nuts idea. Feels good. I'm pretty sure this is as close as I will ever get to one of those. Ya know it was my idea before anyone would consider anything but bombs. But it couldn't happen with out these brave people. It is amazing to see it working. Still, they deserve it for having a golden pair to walk into syria and do this. But I see your point, the most important part of this , was having them already established and ready to call on. Even the best idea doesn't work unless someone is willing to bet their lives on it. If anyone deserves the Nobel Peace Prize, it's Vladimir Putin! It was he more than anyone else who staved off Obama's bloody attack on Syria last month. Had that dastardly attack happened, at least 15 to 20,000 Syrians would have parish needlessly and Obama would not have cared in the least!!! US should never leave the Afghanistan and Pakistan. The whole region is crowded with moslem terrorists. Good luck with that on this site. The US should bomb Tel Aviv unless Israel gives up the five Israelis who were filming and dancing as the twin towers were burning.